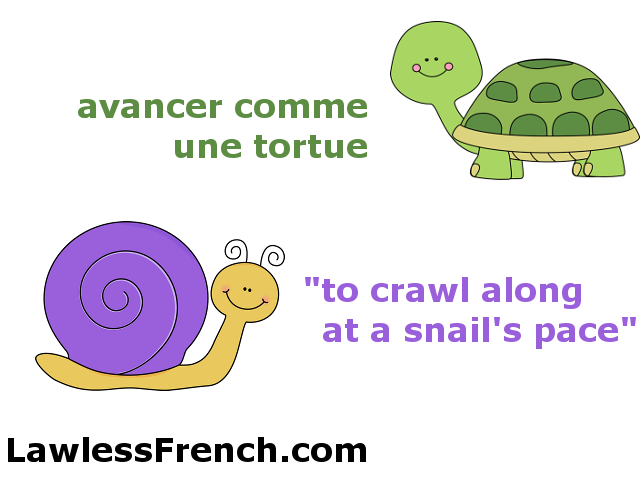 Usage notes: The French expression avancer comme une tortue is so similar to its English equivalent "to advance at a snail’s pace" that if you used escargot in French or "turtle" in English, everyone would know exactly what you meant. 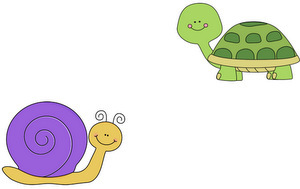 Nonetheless, the most idiomatic way to say it is with tortue in French and "snail" in English. La voiture devant moi avance comme une tortue. The car in front of my is crawling along at a snail’s pace. Allez, vite ! Vous avancez comme des tortues ! Hurry up! You’re crawling along like snails!